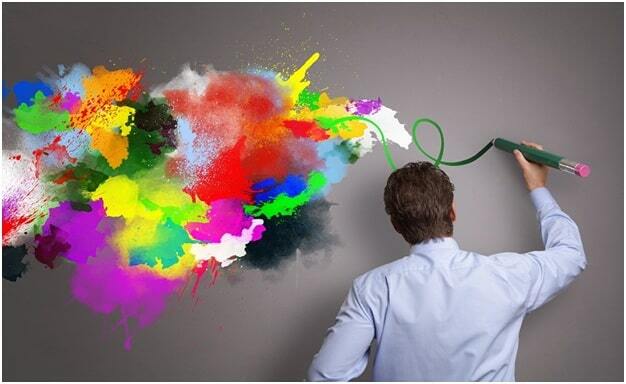 Graphic designing encompasses the ability to create an image out of your extraordinary imagination, uniqueness, and originality. It is like a painting wherein you’ll need to find an interesting object to create your canvass. If you want to enhance your skills in designing, you’ll have to practice and rework the designs to come up with a great masterpiece. Some people even study the course to have a better foundation for their graphic designing skills while some prefer to watch videos and do their own research. It depends on your desire to learn and creativity to craft unique designs. When you create the artwork, you must pay attention to various circumstances, such as software, ideas, themes, concepts, a company’s goals, and mentors. These key elements will help you build a professional career in graphic designing. You are passionate and eager to do some designs, but you don’t even know how to use the various functions in your software. There’s no other choice but to study all the functionalities. In this way, you will know what to use when you’re already creating a branding design. Does this have something to do with creativity? Well, technically yes. If you know the different functions of the software that you’re using, you may come up with different strategies and techniques to make your craft. You must choose software that you can comfortably use. Some people use Adobe Photoshop to create their designs, but you’ll need to pay for its premium fees. However, it’s user-friendly and a great tool to start-up your career in graphic designing. If you’re looking for a free tool, you may use the GIMP. This tool is just free to download software, but it has a manual function as compared with Adobe Photoshop. Moreover, if you love to create infographics or grids, you may use the Canva tool. Of course, there is an unlimited number of various tools for the graphic artists and it’s up to you on which to choose. Graphic designing is not only all about the artwork, but it also plays a vital role in corporate branding. You need to create well-planned and professional layouts for the business documents. Infuse your creativity and align it with the mission, and vision of the company. The best way to learn from scratch is to find a great mentor who can help you improve this skill. You may also refer to the SketchCorp Corporate Branding to see their professional samples for business-related documents. According to Pablo Picasso, a famous Spanish painter, he once told that good artists copy but great artists steal. To explain this further, you’ll need to research first before you can come up with a great design. You don’t need to copy every detail of it, but you’ll need to get an idea from it and create a new one. Research skills are also a must for graphic designers because this is where you can find inspirations and relevant subjects. You must also consider reading blogs to have several choices and ideas. Feed your mind with interesting graphic designs. Improve these designs and make them as your own. Sometimes, you can find interesting ideas beyond Google. If you’ll look around, there are so many places, people, animals, and things to see. You may take a picture of it, then edit the image. It’s better to take a photo than download it from the website. In this way, you don’t need to worry about the trademarks and rights of the photo. Aside from taking pictures, if you know how to draw, that’s another great talent to explore. You may use a drawing pad for graphic designers so that you can create unique logos and images for your work. Do you know why some artists are well-known in the industry? The reason behind is the uniqueness and originality of their art. When you create a design, it should have an identity. Meaning to say, the design itself must be able to stand on its own. Creating a branding design must need to be well-planned and drafted properly. It should represent the company and follows the objectives of the organization. Feedbacks are important things to consider because you will have an idea of what people think about your design. You will need their opinion or comments to improve the overall aspect of your craft. Get the relevant suggestions and rework on your design if necessary. You may ask a friend, co-workers, or mentors to help you outline a perfect design. You can also ask them their ideas with the latest apps, sites, or tools that you can use for your craft. A theme is the skeletal framework of the design. It represents a sense of direction because you are guided on how you will be going to present the design in the public. A theme should be aligned with the industry. For instance, if you are creating a branding design for a company, it should be formal and technical in nature. Graphic designing is an important element of the business world because it helps with the marketing and promotion of the brand. By choosing the best theme, you’ll be able to come up with a creative, organize, and unique plan for your designs.